The children at the S.O.S. Children’s Village in Stony Hill, St. Andrew are excited to receive toys from the team at IGT Jamaica in observance of Autism Awareness Month. On hand to make the presentations are (from the left) IGT Jamaica General Manager, Debbie Green; Executive Assistant, Tisha Wilson; HR/Administrative Assistant, Nadine Berry-Reid; Driver, Owen Campbell; and S.O.S. Children’s Village Director, Marcia Brown. 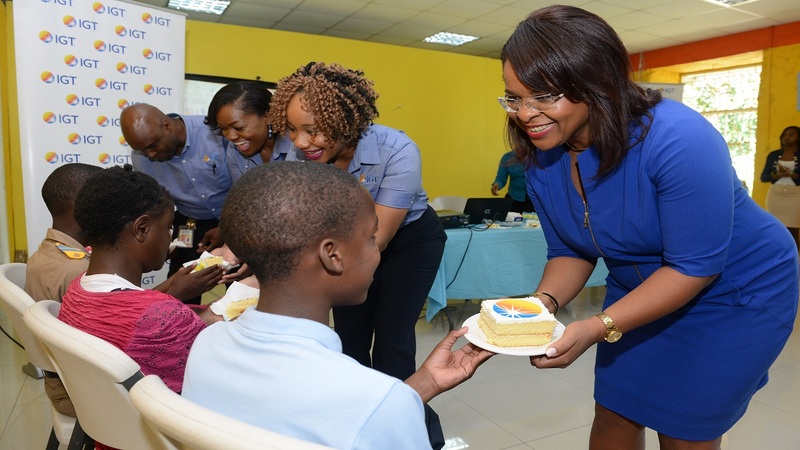 In an effort to help raise awareness about autism in Jamaica, a team from lottery technology company IGT visited approximately 30 students at two After School Advantage (ASA) Centres. The team of IGT volunteers engaged with the staff and children at the Stony Hill SOS Village and Mustard Seed Communities – Jerusalem centres - for a time of fun and relaxation. They also provided gift baskets with books, stationery and other educational material including sensory toys for the children along with personal care items and a celebratory cake to each facility. SOS Village’s National Director Nadine Williams was excited about IGT’s visit at SOS Stony Hill, which provides autism awareness training to children and caregivers. She says the children who are not on the autism spectrum embrace and are protective of their autistic friends at the Village. 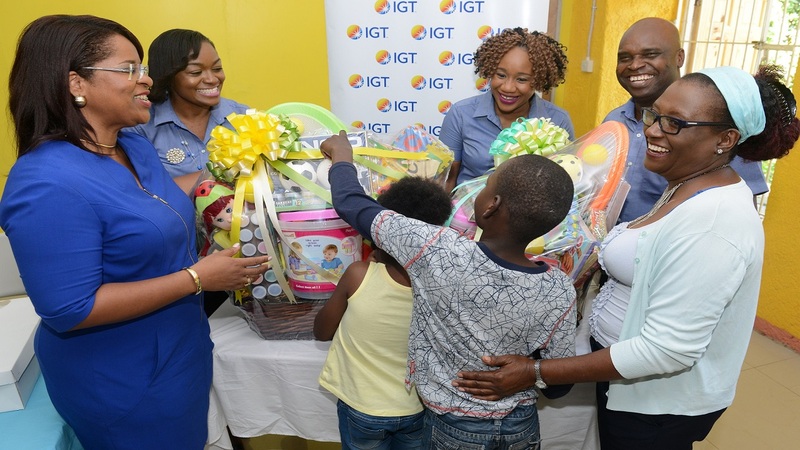 DELICIOUS TREAT: As part of Autism Awareness Month, IGT Jamaica shared gifts of sensory toys and cake with the children of the S.O.S. Children’s Home in Stony Hill, St. Andrew, home to one of the company’s After School Advantage computer labs. Pictured are (from the left) IGT Jamaica’s Driver, Owen Campbell; Executive Assistant, Tisha Wilson; HR/Administrative Assistant, Nadine Reid-Berry; and General Manager, Debbie Green. 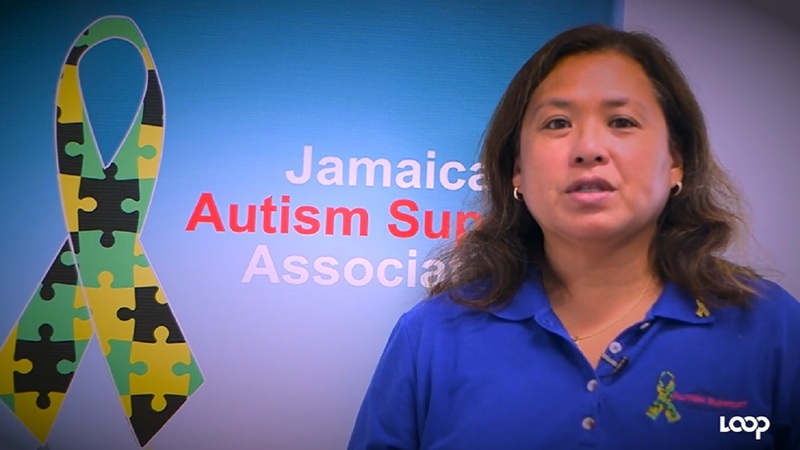 Darcy Tulloch-Williams, Executive Director of Mustard Seed Communities (MSC), also shared their continued commitment to caring for children with autism, despite the challenges. “We care for over 20 children at Mustard Seed, and they are at different points on the autism spectrum,” she said. 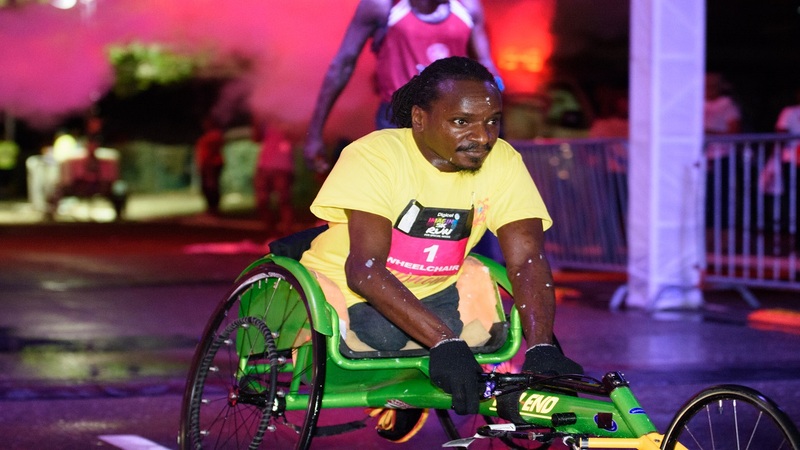 “We greatly appreciate the assistance and encouragement in our work from IGT,” added Williams. Autism is a complex neurological condition that affects one in 160 children globally, according to the World Health Organization. It is five times more common in boys than girls, and while the cause of the condition is unknown, current knowledge suggests that it is related to genetics, as well as interactions in the environment. Autism spectrum disorders (ASD) begin in childhood, persisting into adolescence and adulthood. While some people with ASD can live independently, others require life-long care and support.